Home » What can be Gained from a Car Accident Lawsuit? If you have been injured in a car accident and have since received a settlement offer from the responsible party’s insurance carrier, you might be wondering whether you should accept the amount or pursue a car accident lawsuit. In short, the primary advantage of pursuing a car accident lawsuit is that you might be able to receive more compensation than if you directly settled with the responsible driver. The following will review some important factors that you should consider in case you find yourself with such a situation. If your personal injury attorney believes that your case is worth much more than what an insurance carrier is offering and there is not much of a possibility that the insurance carrier will increase its settlement amount, it is often a wise idea to file a lawsuit. Sometimes, however, it can be difficult to determine the difference between what you expect to receive and the amount that the other party is offering you now. 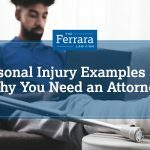 One of the types of damages that can be particularly difficult to determine in a personal injury accident is the amount of pain and suffering faced by a victim. Sometimes it is best to consider a range of possible compensation amounts rather than a specific dollar value. If you are considering whether to pursue a car accident lawsuit, listen to the opinion of your personal injury attorney. Valuing a case is sometimes simple, but other times can be particularly challenging and you can greatly benefit from the experience of a personal injury attorney who has handled many similar cases. The average car accident victim often is not familiar with these types of cases and is not acquainted with previous settlement amounts or jury verdicts. This is why it is critical to find a personal injury whose opinion you trust. If you have established a range of compensation for an accident with your personal injury lawyer and an insurance company has offered you an amount within this rage, it is often easy to decide to settle matters. If the offer is much lower than your range, however, it can be a much harder decision to settle to pursue a lawsuit. It is important to remember, however, that if you do decide to pursue a lawsuit, you will likely not be able to discuss a settlement amount again for several months. This is because once a lawsuit is initiated, a defense attorney will often be interested in performing pre-trial investigation and discovery, and the insurer will not be interested in discussing a settlement. 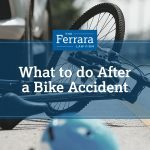 When car accidents occur, victims frequently find themselves facing the question of whether to pursue a car accident lawsuit or accept a settlement. Contact Ferrara Law today to schedule an initial free consultation.